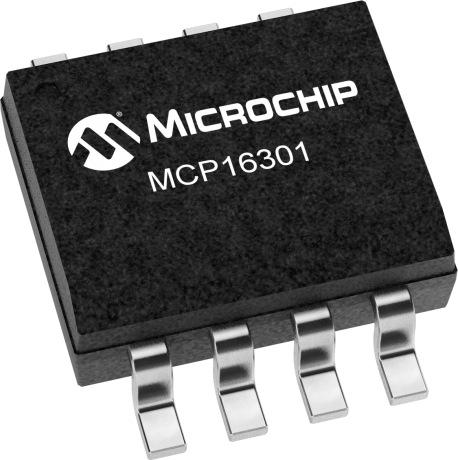 The MCP16301 is a highly integrated, high-efficiency, fixed frequency, step-down DC-DC converter in a popular 6-pin SOT-23 package that operates from input voltage sources up to 30V. Integrated features include a high side switch, fixed frequency Peak Current Mode Control, internal compensation, peak current limit and overtemperature protection. Minimal external components are necessary to develop a complete step-down DC-DC converter power supply.